...you make a giant chalkboard wall in your kitchen. I won't disclose the name of the artist but perhaps the obvious care taken to outfit one of the family members in the picture provides a clue. 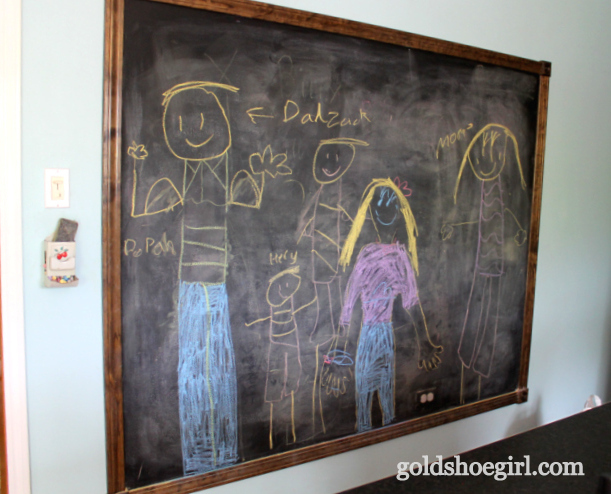 If you want to see the detailed how to of the chalkboard and the frame click here.